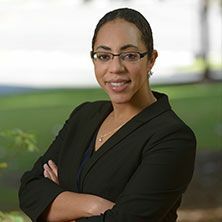 Tiffany Abdullahi joined Southern Veterinary Partners as the Vice President of Strategic Initiatives in September 2018. Tiffany brings years of strategy consulting experience and has worked in a variety of industries including consumer goods, healthcare, retail, and energy. Prior to joining Southern Veterinary Partners, Tiffany was a Director in the Transformation Office at Newell Brands where she supported the integration effort among numerous strategic assessments for the executive team. Before Newell Brands, Tiffany held several positions at Bain & Company, from Associate Consultant to Case Team Leader. Tiffany is a graduate of Rice University and also holds a Masters of Business Administration from Stanford University.